Just about everyone, especially the women who are the target market of Skinny Cow “better for you” ice cream, associates ice cream with good times. But Skinny Cow wanted to take things a step further and ensure that its treats called to mind “the time of their life”—or at least the movie featuring the song “The Time of My Life”: Dirty Dancing. Perhaps the ultimate “chick flick,” Dirty Dancing celebrated its 25th anniversary in 2012. Working with agency Alcone and Lionsgate Entertainment, Skinny Cow sponsored an eight-city “movie and dance” tour that gave fans a chance to gather with friends and see the film on a large screen and then dance and eat at an after-party featuring the movie’s star, and Skinny Cow spokesperson, Jennifer Grey. The tour kicked off in New York and finished up in Los Angeles. In between, Skinny Cow’s Dirty Dancing tour vehicle stopped at 45 key retailers to promote the event. In addition, consumers who bought three or more Skinny Cow products could redeem a code for a digital download of the film. And at each of the eight theaters, attendees could sample Skinny Cow’s new Limited Editions, the packaging of which featured a code-based online instant-win game that gave consumers the chance to win Dirty Dancing DVDs, Skinny Cow products, and a trip to LA to attend the final showing of the tour. 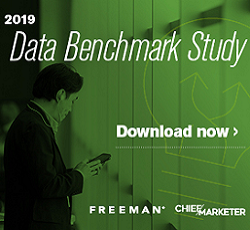 By the time the eight-month campaign took its final bow at the end of August, it had generated 344 million media impressions, with more than 20,000 consumers signing up to attend the events. More than 790,000 people entered the instant-win contest, and the Limited Editions proved popular enough to drive an incremental 7.4 percent sales growth for the brand. And we’re sure that many of the participants did indeed have the time of their life.